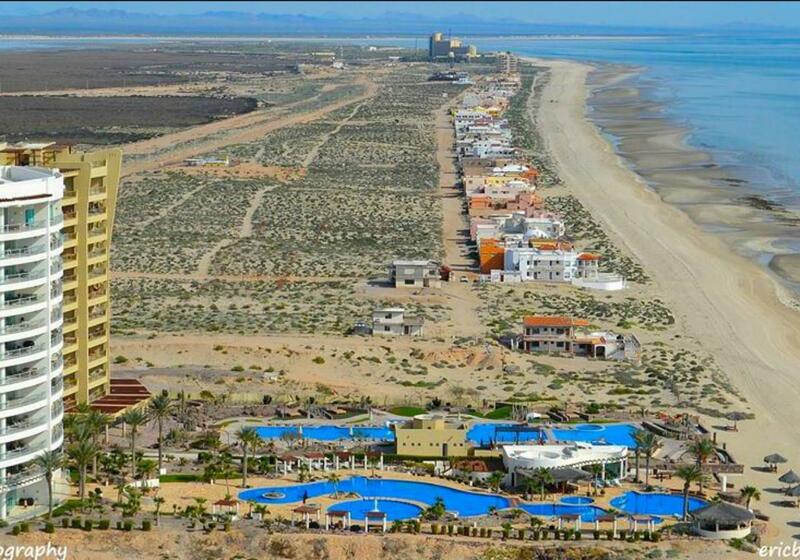 Your opportunity to own at one of Rocky Point's most luxurious and private condominium resorts. Located on the beautiful Playa Miramar beach, this well appointed 7th floor condo is move-in ready. Enjoy the direct ocean view from the living room and the master bedroom. Furniture and furnishings included. Beautifully painted accent walls. Kitchen has stainless steel appliances and ceiling fans throughout the condo. Luna Blanca is known for its expansive swimming pools and spas, fitness room and tennis court, 24 hr gated security. Special owner privileges at the Grand Mayan Resort and La Peninsula Golf course just 2 miles down the beach. Bank trust in place and an Arizona LLC for low buyer closing costs. Owner will consider financing.